Carson Lev is car designer who worked for Mattel for a decade, eventually becoming Director of Hot Wheels Licensing. Lev left Mattel for a pit stop at Equity Management before starting his own licensing company, Redphin Productions, LLC. 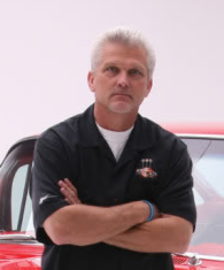 Lev frequently works closely with Chip Foose, host of Overhaulin' on Velocity. Lev was part of the Diecast Hall of Fame Class of 2009 for his lifelong contributions to the diecast and automotive culture and was further recognized with a Lifetime Achievement Award in 2016.